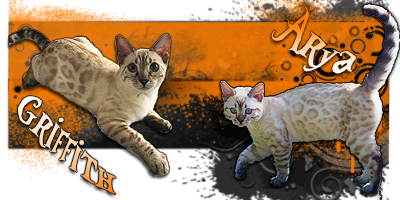 Bengal Cat Forums • View topic - What are your favorite Bengal information resources? What are your favorite Bengal information resources? Post subject: What are your favorite Bengal information resources? 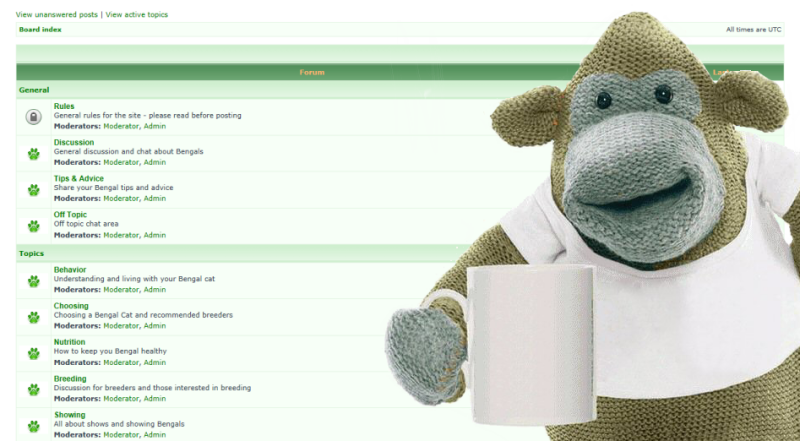 What are your favorite "go-to" resources for Bengal info, ok, besides this forum ! Books, links, vids? I'm interested in behavioral and health tips. Post subject: Re: What are your favorite Bengal information resources? Besides that I also get a lot of information from my breeder, I message her several times per week about my two for advice and just so she can see how they grow. I haven't actually found any good books specific to Bengals. Wow, excellent recommendations! There are a couple of books I want and now I'm worried about what she is eating !!! I haven't actually found any good books specific to Bengals. Yea, me neither. For really insightful bengal-specific stuff, I think that Bengals Illustrated magazine is really good. Brian is great with resources!!! Sarah is super helpful as well. There are books specifically on bengals, but if you just google "bengal cat" you can read blogs owners have written -- this forum is a great resource as well. I don't believe reading up on a bengal can actually prepare you for owning one. Thank you. Yea, I have a couple of bengal specific books. They are kind of fun reads, but not very insightful to be honest. They'll give you the history of the bengal breed, talk a little bit about stereotypical physical and behavioral characteristics, and then fill out the rest of the books with generic cat stuff. Other books do the generic cat stuff better, and you can go to animal planet and watch the "cats 101" series to get a funner profile of the bengal breed, so I can't really recommend any of the ones that I've read, unfortunately. I do think Bengal Illustrated is better. My one criticism of that though is that it can be very "technical" (as one reader put it). There are some real good articles of useful stuff for cat owners, but then they'll also have a bunch of deep dives into some real nitty gritty stuff for breeders and such which don't do me a lot of good.